Overall walk-around of Surveyor test article. 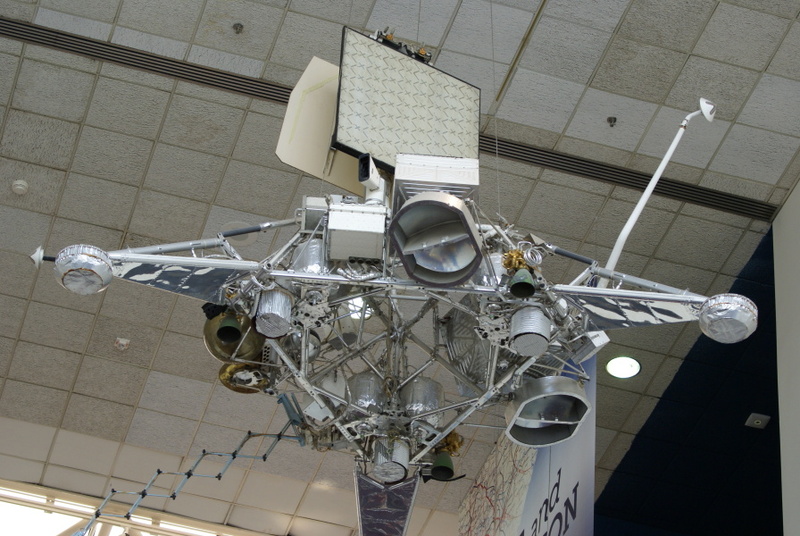 A large, spherical, solid-propellant retromotor would have been mounted in the large, empty space at the center of the Surveyor. Note the three green TD-339 vernier engines near the landing leg hinge points. Each engine could be throttled between 30 and 104 pounds of thrust. The left and back (#2 and #3 engines) were fixed, while the right (#1) engine could gimbal (note the coiled propellant feed lines).